Try a free version first for seven days and then choose the subscription period more suitable for you. 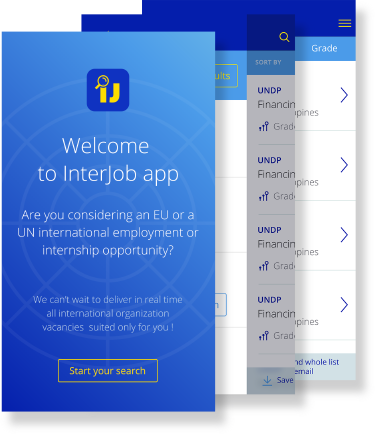 Interjob is the first app of this kind and is quick, user friendly and really powerful. 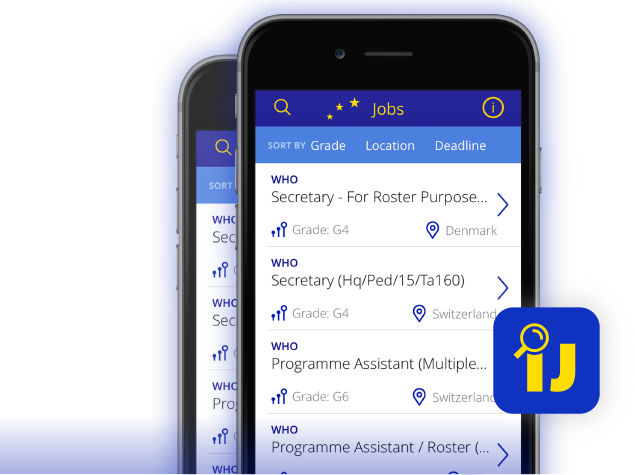 The app is a job search tool that is capable to extract in a unique database almost 1500 published vacancies and propose 150 new jobs everyday. 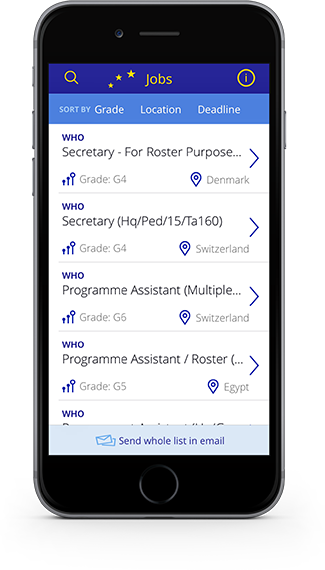 The app will be your key for success in finding a job in an international organization. Gives you the opportunity to apply multiple criteria that run at the same time. Therefore your search is much quicker than before and in addition everything is portable. Your mobile is your searching tool and you do not need to spend hours in front of your desktop.